At Sharon Wilson & Co., we believe that providing easy access to resources that clients would find helpful is a key component of demonstrating the value that we bring. We have provided easy access to key Bahamas Government and private sector resources. If we may offer additional assistance, please feel free to contact us and we will be happy to help. 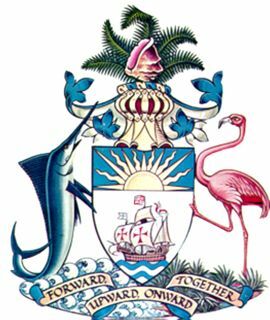 The official Bahamas Government website provides information on all governmental agencies and departments of The Bahamas, as well as easy access to government documents, and other important forms and publications. The Central Bank of The Bahamas is responsible for managing the monetary policy of The Bahamas Government. This organization was established by an Act of Parliament in 1974, and provides resources specific to Foreign Exchange, Monetary Policy, Bank Supervision, and Financial Statistics. The Bahamas International Securities Exchange has both a commercial and regulatory focus with respect to securities offerings in The Bahamas. Currently, there are seventeen domestic public companies listed on BISX. The BISX also operates a Mutual Fund listing facility that is targeted at meeting the needs of international investors who may require the extra visibility afforded by a listing on an established securities exchange as a basis for their choice of investment vehicle. The National Insurance programme was established on December 12, 1972 with the signing into law of the National Insurance Act, 1972. The National Insurance Board (NIB), the organization charged with administering the social security programme, opened its doors officially on October 7, 1974. Its primary mission was and is to provide income-replacement in respect of sickness, invalidity, maternity, retirement, death, industrial injury/disease, and involuntary loss of income. 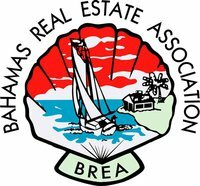 The Real Estate (Brokers and Salesmen) Act of 1995 has empowered BREA by law to be the regulatory body that oversees the practice of real estate business and the licensing of real estate agents in The Commonwealth of The Bahamas. In its 50 year history, the Bahamas Real Estate Association has licensed hundreds of brokers, salesman, appraisers, and developers.